We think outside the outdoor. 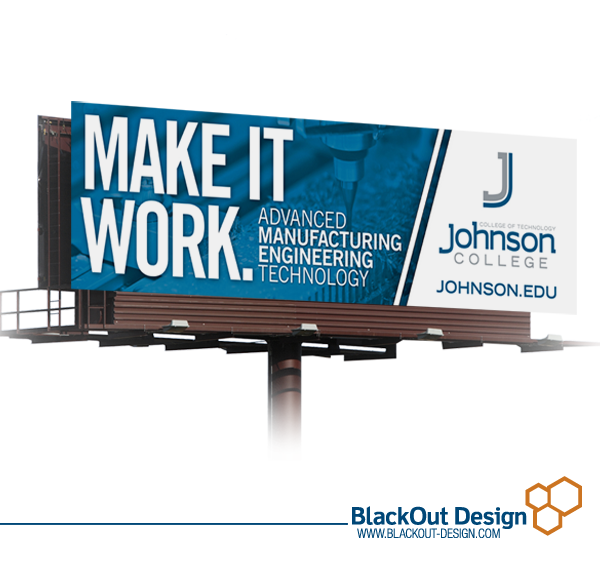 When it comes to Johnson College, we know they are anything but traditional. So when it came time to launch a new outdoor campaign, we decided to shake off the traditional angle (much like Johnson) and take a more modern approach. BlackOut used creative plays on words, combined with heavy type-driven design, to deliver a look as bold and forward-thinking as the College itself.